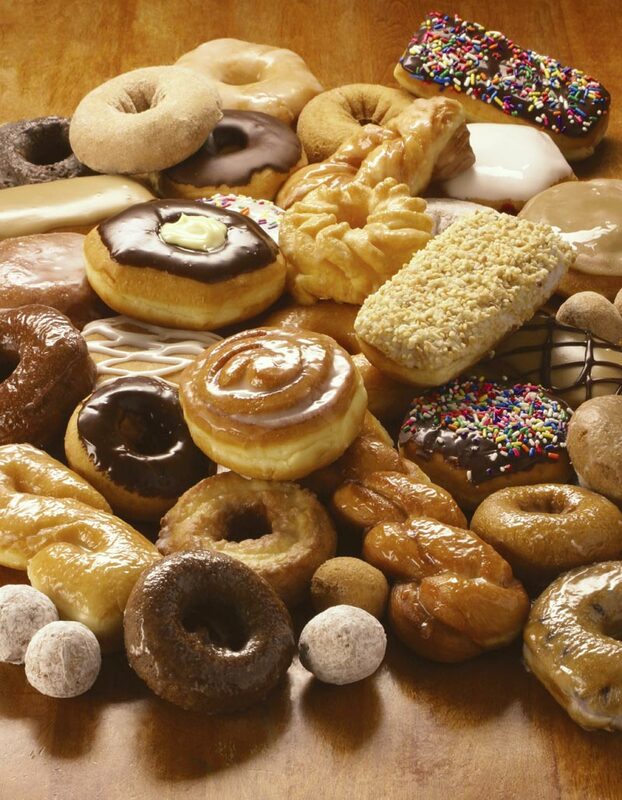 Yummy Bites: Yummy History of DoughNut "Donut"
As we all know one of the most beloved foods is the doughnut or as it is popularly spelled, donut. Ever wounder what is History of the Doughnut or Doughnut Hole ..?? Who invented the doughnut? Where did it come from? What is it made of? Why is it called a donut or doughnut..??? ---- Nooo..!! o_O?? To begin with, there are a number of conflicting statements about the origin of the doughnut; It may be Chinese in origin. But Germany, France, the Netherlands and Latin America also have valid claims. When did the word, doughnut, become a part of our language? The earliest occurrence could be find was in Washington Irving’s book, “History of New York (1809). He defined the word, so it probably wasn’t well known at the time, as “balls of sweetened dough fried in hog’s fat.” Ugh! The exclamation is mine, not Irving’s. What about the Doughnut Hole? Back in1847, Elizabeth Gregory, the mother of a ship captain, who lived in New England whipped up a batch of deep-fried dough using spices her son had given her from his cargo of nutmeg, cinnamon, and lemon rind. 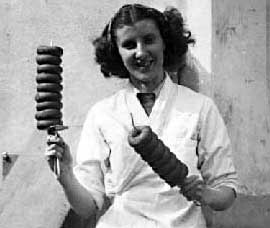 She made these deep-fried cakes for her son, Hanson, and his crew so they could store the pastry on long voyages. She believed it would help to ward off scurvy and colds, unaware of the benefits of citrus fruit. Mrs. Gregory inserted hazel nuts or walnuts in the center of the fried cakes where the dough often did not cook thoroughly. She called the pastry (aha!) dough-nuts. Here is where the story gets curiouser and curiouser. Capt. 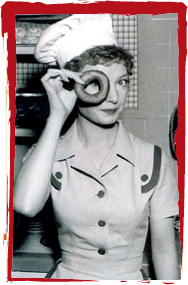 Hanson Gregory always took credit for creating the hole in the doughnut. It is said that he gave the doughnut its first hole when, in the middle of a terrible storm and in order to get both hands on the ship’s wheel, he crammed one of his mother’s fried dough-nuts that he was holding onto one of the wood spokes of the wheel for safekeeping. Voila! A doughnut was born with a hold in the center. He ordered the ship’s cook to henceforth prepare all dough-nuts with holes in the center, and shared his creation with the crew who swore It was the most delicious, delectable food they had ever tasted. Another variation of the story has Capt. Hanson poking holes in his mother’s dough-nuts because he did not like the soggy center where the dough was under-cooked. A third variation has our inventive captain using the tin cover of a pepper box to punch out a center hole – maybe he didn’t like nuts taking up space in his mother’s doughnuts.